Neurology Solutions Movement Disorders Center offers bioidentical hormone replacement therapy (HRT) to patients seen frequently by the practice to help address mobility and mood and improve quality of life. Hormone Therapy for Parkinson’s disease and other neurodegenerative diseases can reduce certain symptoms associated with PD and reduces dementia risk in the general elderly population. Our health and wellness center is here to help. A study of over 230,000 postmenopausal women in four nations found that HRT halved the risk of Alzheimer’s for those who used hormone therapy for more than a decade. If started at the onset of menopause, hormone therapy also was found to prevent memory loss and confusion, according to a study following participants for up to 20 years. Long-term use also was associated with better overall mental skills including episodic memory – the recall of times, places and events. Hormone therapy for Parkinson’s in men targets testosterone deficiency. A sudden decrease in testosterone may be tied to the increased prevalence of PD in men, who are diagnosed with the disorder by almost a 2 to 1 margin to women. Researchers have studied the impact of testosterone deficiency on male mice and found that castrated mice begin to develop motor symptoms similar to PD, which were reversed with 5-alpha-dihydrotestosterone (DHT) supplements. Neurology Solutions closely monitors patients who are using HRT as a Parkinson’s treatment to determine optimal hormone levels and realize a hormone profile closer to their youth. Research has shown hormone therapy may benefit certain symptoms associated with Parkinson’s. For example, testosterone deficiency is common in older individuals and has symptoms that directly overlap with non-motor symptoms of PD that do not necessarily respond to antidepressant therapy or traditional PD therapies. Two forms of bioidentical estrogen, estradiol and estriol, have a positive destabilizing effect on alpha-synuclein (a-synuclein), a protein in the brain that has the tendency to aggregate and form fibrils, or clumps, a hallmark of many neurological diseases. What Hormones are used in HRT? Bioidentical HRT uses hormones that are synthesized from plant chemicals extracted from yams that mimic the structure of human endogenous hormones. These hormones are identical to the estrogens and testosterone found in the human body and have been demonstrated to have less risk of side effects or complications than animal-derived or synthetic hormones. Bioidentical hormones include: estrogens (17 beta-estradiol, estrone, and estriol), progesterone, testosterone and DHEA. Should I Consider Hormone Therapy for Parkinson’s Disease? 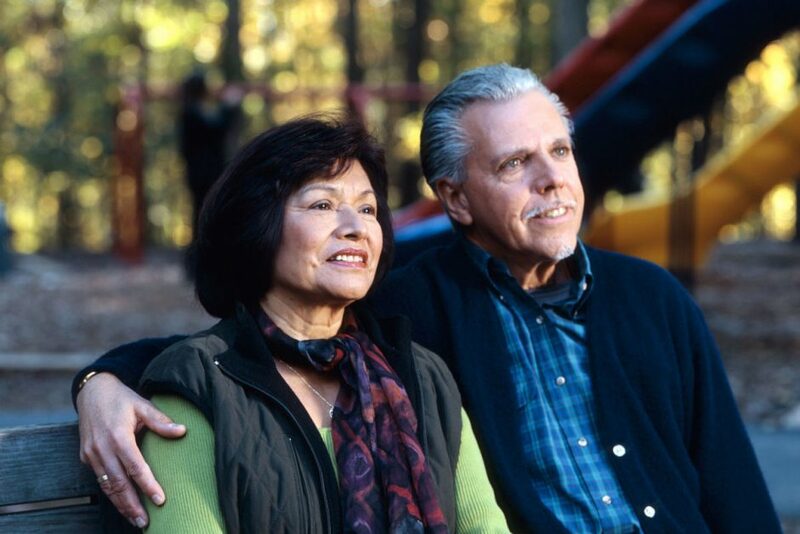 Generally, any postmenopausal woman or male age 50 or over can potentially benefit from hormone therapy. Our wellness center will need the approval of an oncologist for any patient who has had breast cancer, endometrial cancer, or prostate cancer who wants to engage in this treatment. These patients as well as individuals who have suffered strokes or blood clots to the legs or lungs are considered on an individual basis for bioidentical hormone therapy. Participants in Neurology Solutions HRT program have primarily included Parkinson’s disease patients who also use Deep Brain Stimulation (DBS) therapy in their disease management, since DBS appointments tend to be more frequent due to monitoring of DBS stimulation. More recently, Neurology Solutions and its Austin Renewal Therapy wellness clinic have introduced HRT consultation and administration for the general population as well as other movement disorder patients. It takes at least four weeks before healthcare providers are able to check how the HRT supplement impacts individual hormone levels and at least eight weeks for improvement in cognitive scores to be apparent. Neurology Solutions closely monitors hormone levels for side effects and safely gauges whether adjustments should be made to hormone supplements until an optimal level is met. To learn more about hormone replacement therapy at Neurology Solutions, read more on this HRT Q & A.
Neurology Solutions is a comprehensive evaluation and treatment center based in Austin, Texas, specializing in Parkinson’s disease, tremor and dystonia. Neurology Solutions offers comprehensive individualized care for individuals with Parkinson’s disease, dystonia, essential tremor and age-related movement disorders. If you would like a consultation for managing symptoms of a movement disorder, please email Neurology Solutions or call 512-865-6310 to schedule an appointment. Stay informed by frequenting our health and wellness clinic’s blog or join Neurology Solutions Movement Disorders Center’s email list to stay up to date on the latest in treatments for neurological disorders, and tips on exercise, managing stress and maintaining a high quality of life.